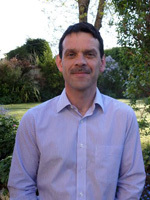 Having served 16 years in the army Colin re-educated during the early 1990s including two years at the Camborne School of Mines reading Mineral Surveying and Resource Management achieving a first class Diploma (Dip CSM). This allowed direct entry to the second year at the University of the West of England, Bristol reading Valuation and Estate Management. Training and experience was gained with Exeter City Council Estates Department and Shepherd Chartered Surveyors qualifying as a Member of the Royal Institution of Chartered Surveyors in June 2003. Colin set up the company in May 2009 and specialises in pre-purchase surveys. Alan is a chartered building Surveyor with over 25 years’ experience within the construction industry. Having grown up, been educated and employed within Cornwall he has excellent local knowledge of building types and construction as well as a wealth of contacts. Alan qualified as a Chartered Surveyor in 2000 having worked with private practice and undertaking work based learning as well as a degree in building surveying through The College of Estate Management at Reading University. Alan has experience in residential and commercial properties undertaking surveys, party wall work, contract design and administration, dilapidations as well as a variety of other surveying related activities. Most recently Alan has worked in local government managing planned maintenance and capital schemes to offices, schools and public buildings. Ed has experience from working in a varied cross section of industries, possessing transferable skills for his current role as Building Surveyor and as an Associate member of the Royal Institution of Chartered Surveyors. 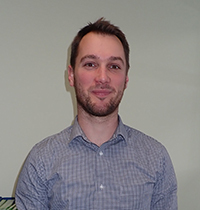 Having completed his BSc Hons in Building Surveying in 2018, via the University College of Estate Management (UCEM), and previously completed an FDSc Sustainable Construction course, Ed is broadening his practical experience within the industry having recently joined the team here at Cockrams-Surveyors. 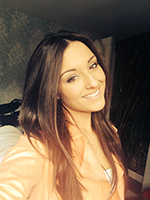 Nicole joined the company as a Trainee Architectural Technologist early in 2015. Nicole has several years’ experience working in Construction co-ordination and has joined the company to expand our in house Architectural Services team. Nicole is currently studying for a HNC in Construction and the Built Environment and is also progressing with the use of AutoCAD.